Welcome to the Earth Analytics Course! Earth analytics is an intermediate, multidisciplinary course that addresses major questions in Earth science and teaches students to use the analytical tools necessary to undertake exploration of heterogeneous ‘big scientific data’. 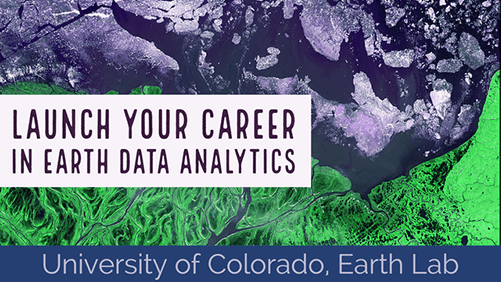 This course is designed for graduate students and students participating in the Earth Data Analytics Professional Certificate. This course is technical. We will use the Python scientific programming environment and the Jupyter graphical interface to work with data.